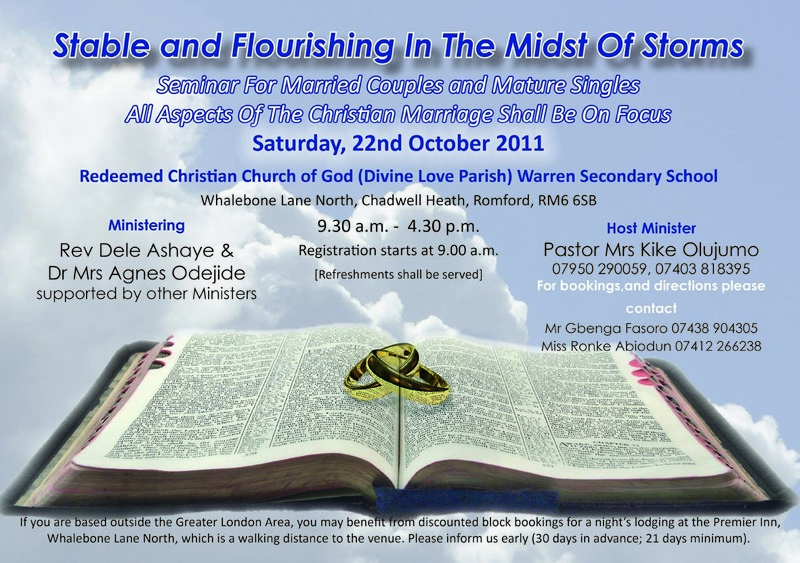 You are invited to attend a special seminar for Married Couples and Mature Singles as indicated on the attached Flier. Please pass on the message to others. God bless you.